BRIGHTON, Mich. - Ford Motor Company has announced that they will continue to sponsor Usher's New Look Foundation for the fourth consecutive year. Ford will be the presenting sponsor of the association's President's Circle Awards luncheon, which will be hosted by Usher Raymond IV this month in Atlanta, GA. Usher's New Look Foundation is a fantastic organization that gives around 50,000 youths a chance to have positive role models and influences in their lives. New Look empowers many young people to fulfill their dreams and become leaders in their communities by giving them the tools and resources they need, to do so. Since 1999, Usher's New Look has trained and certified over 13,000 youth is its four leadership pillars of talent, education, career and service and has had 100% of the participating youths graduate from high school and continue on to universities. 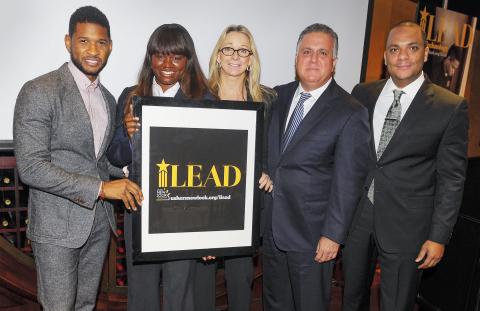 Ford Motor Company sponsoring Usher's New Look Foundation is just one of the programs that Ford is proud to contribute to. Ford has always been a huge advocate of programs that encourage leadership and education. Ford has a variety of programs that focus on student's education, including the Ford Next Generation Learning program. This program works to encourage teachers, employers and leaders to create the next generation of young people who will not only graduate from high school, but college as well. Ford also donates more than $1 million in Blue Oval Scholarships each year. If you'd like to learn more about Usher's New Look Foundation, you can find more information here. Ford works hard to provide the world with the resources that it needs - whether it's better vehicles, smaller carbon footprint, or better education, Ford is happy to help. If you'd like to see for yourself how Ford works to provide you with better vehicles, stop by our Wixom Area Ford Dealership and let us show you our wide selection of New Ford Trucks and Ford Cars For Sale. Follow us on: Facebook, Twitter, Pinterest and Google+.